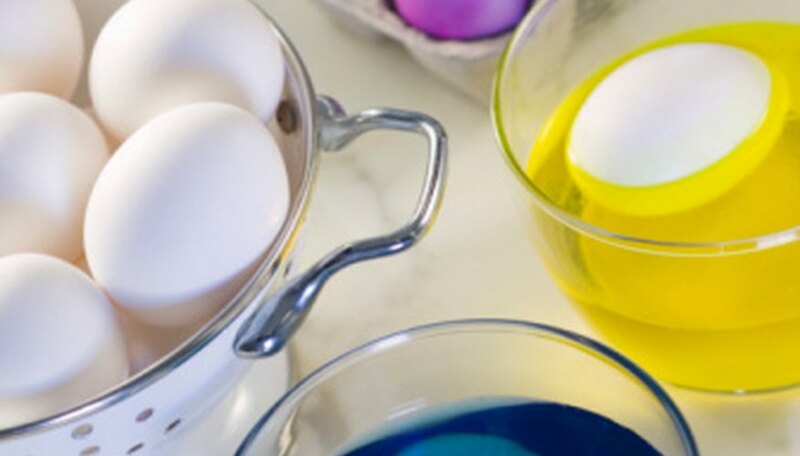 Liquid food coloring is inexpensive, nontoxic and easy to find at the grocery store making it perfect for science experiments with young children. Many food coloring experiments involve mixing colors and watching them travel through water or other liquids. 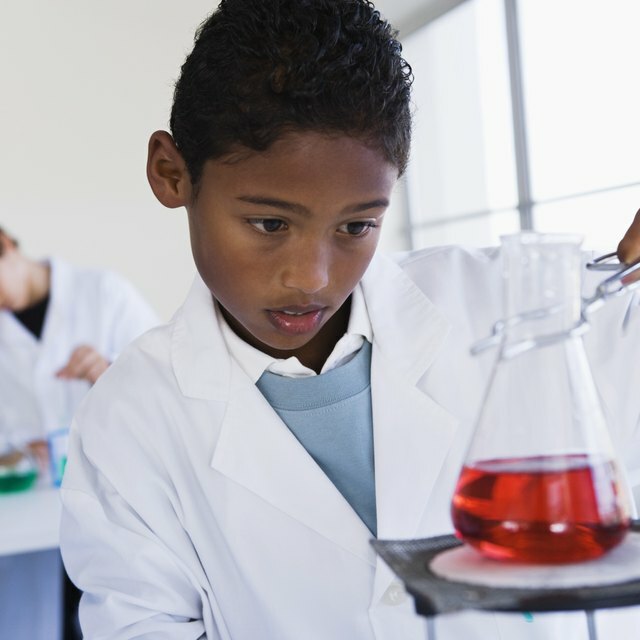 When you are using food coloring for science experiments make sure that everyone is wearing old clothes and cover your work area with newspapers or plastic since food coloring can stain. You can use food coloring to demonstrate how water moves through the root system of a plant or flower. To do this experiment you will need white carnations. Fill four or five cups with water and place five to 10 drops of food coloring in all but one cup. Leave plain water in the last cup as a control. Place one flower or stalk of celery in each cup and observe the flowers over the next three to four days. Watch and record what happens to the color of each flower. You can also do this experiment with celery, daisies or even white roses. To watch colors mix in milk, get a plastic dinner plate with a rim and add enough whole or 2 percent milk to cover the bottom of the plate. Allow the milk to settle for five to 10 minutes. Add one drop each of red, yellow, blue and green food coloring in the center of the plate. Keep them close together but not touching. Touch the tip of a cotton swab to the center of the milk without stirring the colors and watch what happens. Place a drop of dish soap on the clean end of the cotton swab and dip it in the milk again. Watch what happens this time. Experiment with placing the cotton swab in different places and using different liquids to hold the food coloring. For another chance to observe the way molecules move, simultaneously put one drop of food coloring into a glass of very warm water and another in a glass of very hot water. Watch how quickly food coloring spreads through each glass of water. You can even do this in a bathtub or small pool although the colors will be much more diluted. Crafty experiments help children learn the properties of colors while making something attractive. Put drops of food coloring onto paper coffee filters and watch the colors spread and change. Once the colors have spread hang the filters up to dry. Cut them into flower shapes or into small pieces to make a collage. For another project, mix 1 tablespoon of water, 1/4 teaspoon of food coloring and 1 tablespoon of Epsom salts. Dip a cotton string or pipe cleaner in the mixture leaving part of the string outside of the container. After 24 hours remove the string and lay it flat to dry. The crystals will harden on the string as the water evaporates. Hang the string in the sun and watch it sparkle with colored light. Add drops of food coloring to ice cube trays to make red, yellow and blue ice cubes. Allow them to freeze until they are solid. Fill three to five clear plastic cups halfway with very warm water. Place two differently colored ice cubes in one cup of hot water and watch what happens. As the ice cubes melt the colors will combine to make a new color. Try adding a different color of ice cube to a cup that already contains two melted cubes and watch what happens to the color of the water. Alternatively, use these ice cubes to make “water color” paints -- simply rub them on paper and when the water dries the color will stay. Zogheib, Stacy. "Food Coloring Experiments." Sciencing, https://sciencing.com/food-coloring-experiments-8182041.html. 25 April 2017.